Next > Long Tri-Rail Raiser Mounts. 9.5 - 11.5mm dovetail fitting. Fitted with a removable stop pin. Now with a new easy fit recoil pin. For fitting your existing scope mounts on top to allow for larger diameter scope lens. 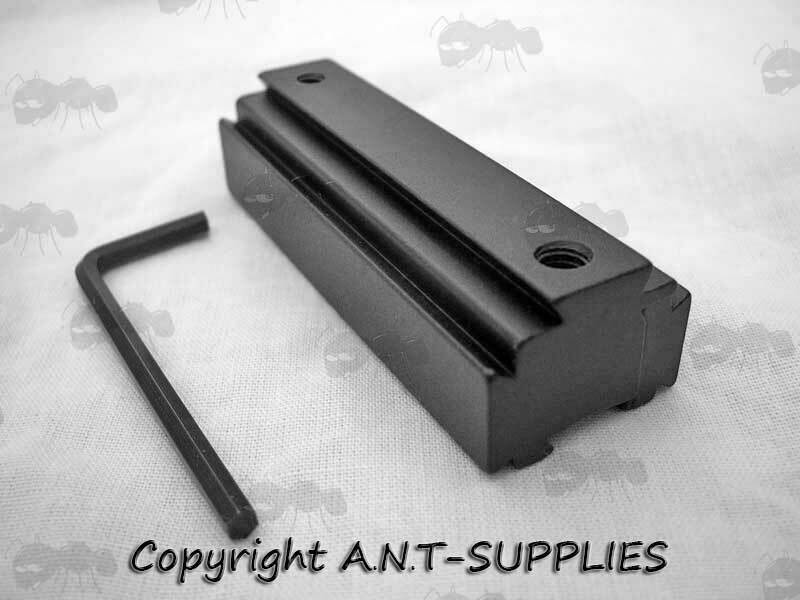 Available here ~ One Bisley Arrestor Block. 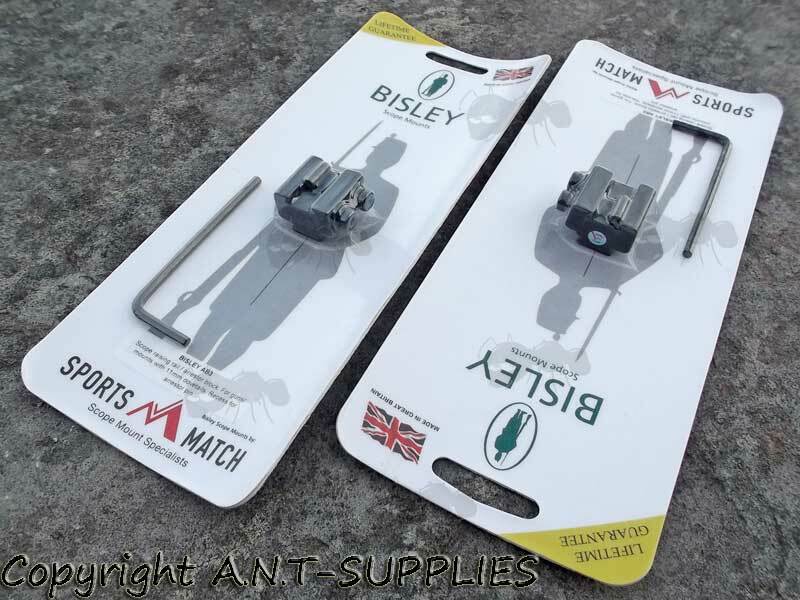 Other SportsMatch UK adapters ~ RB5 / RB6 Weaver and Dovetail and RB4 Tikka / CZ. 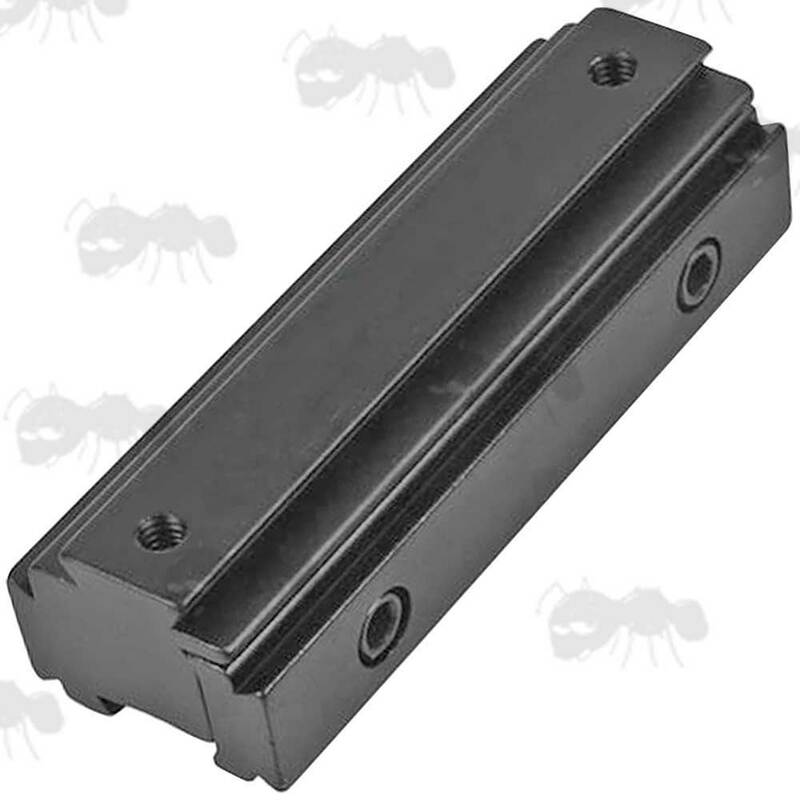 Next > Dovetail Raiser Rail for Stealth Rifles. 11mm dovetail tri-rail raiser block. 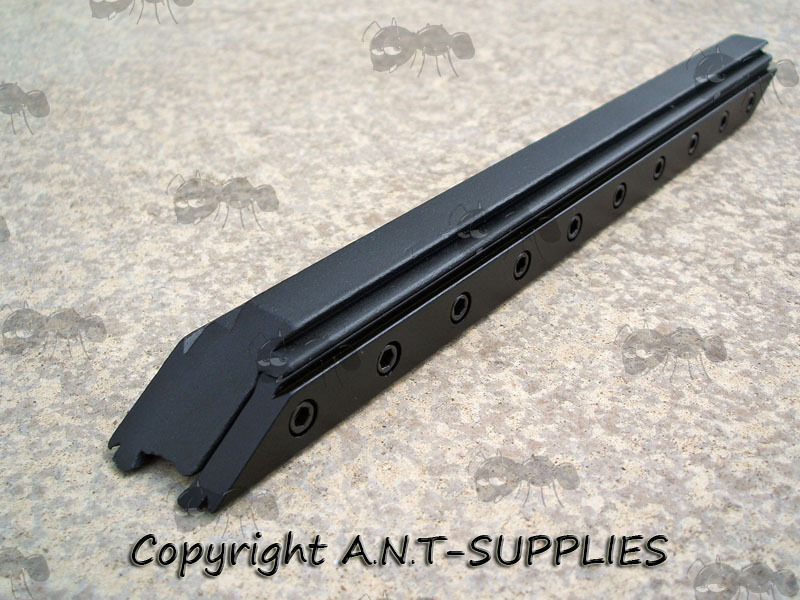 For securing your scope mounts to the top dovetail rail for a 15mm elevation and mounting accessories such as torches and lasers to the side rails. 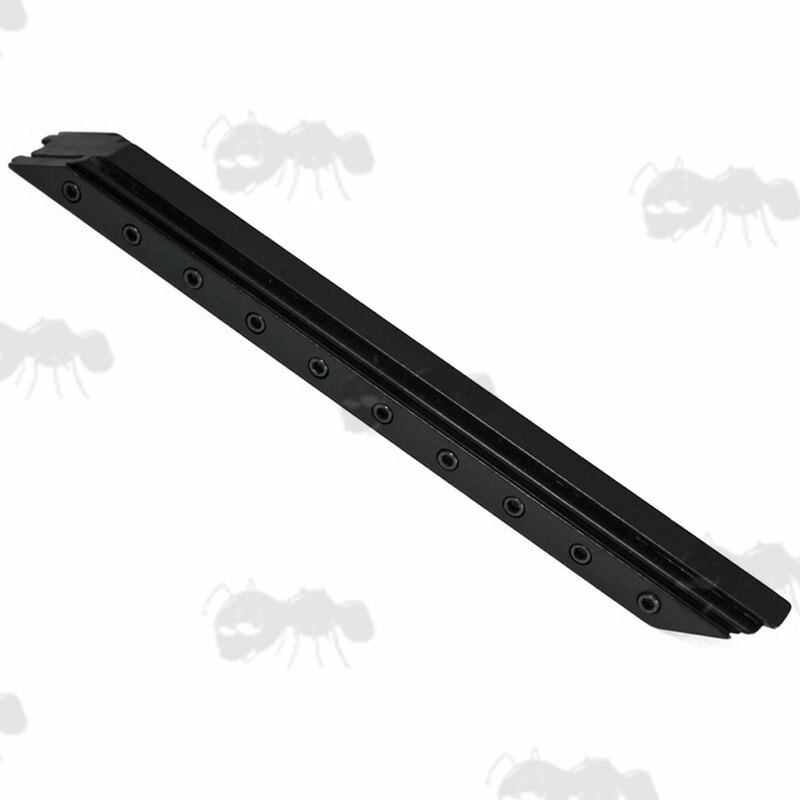 Long base dovetail tri-rail raiser with 10 allen screw clamp points. Fits 9.5-11.5mm dovetail rails, to add height and extra dovetail rails on both sides. Tri-rail raiser for elevating rails and offering side rails for fitting extras like torches and lasers etc. You may also be interested in ~ Dovetail rail fitting bipods. 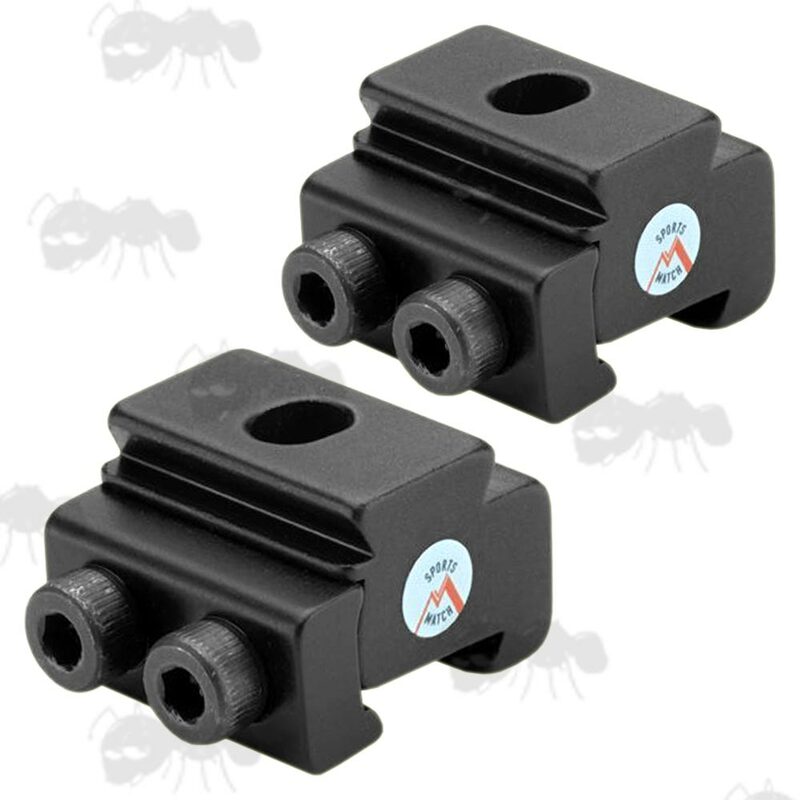 This product offers an excellent way to fit any optics to the correct height without the need to buy high mounts. It fits securely and it looks like its fitted from the factory.